When you are interviewing, the time you spend with the hiring manager can make or break your candidacy for a position. The hiring manager will form their impression of you based on the way you behave in the interview, and hopefully that impression will be a positive one that prompts the hiring manager to move you forward in the application process. For many positions, hiring managers interview several potentially qualified candidates. The job applicants can sometimes start to blend together after a time, but you don't want to let this happen to you. You want the interview to be memorable when the hiring manager looks back over the interview process to decide who to hire -- and, of course, you want those memories to be positive ones. Below are some ideas to help ensure the hiring manager has your name fresh in their mind when debriefing after a day of interviews. You don't want to come across as just another generic candidate. Let the hiring manager see why you are unique and why you would be a good addition to the team, not only because you can do the job well, but because you'd fit in with the company culture. While you need to be professional and don't want to share overly personal information, it's important to be yourself and not come across as fake. Behave with the utmost dignity and confidence. Arrive on time, say hello to everyone you meet, dress professionally, shake hands firmly and make eye contact. Sit forward in your chair, speak in full sentences with proper grammar and use your manners. You want to come across as poised, competent and confident – just the kind of person the company would want to represent them with clients as a brand ambassador. Provide clear-cut examples of how you can add value to the company. The goal of your interview should be to showcase how your skills can help the company. They aren't going to hire you because of your talents alone -- you must show how your talents will make it easier for the company to be successful. Research the company, review the job description right before the interview and tailor your answers to every interview question towards showing why they should hire you. Create a narrative of your success. Paint a picture of how your talents have helped you be a great employee in the past. Share stories of how you've solved problems and accomplished great things so an employer can visualize how your skills translate into success in the real world. Eastridge Workforce Solutions can help you land interviews with companies that are looking for people like you. Our recruiting service will match you to businesses where you would be a good fit. 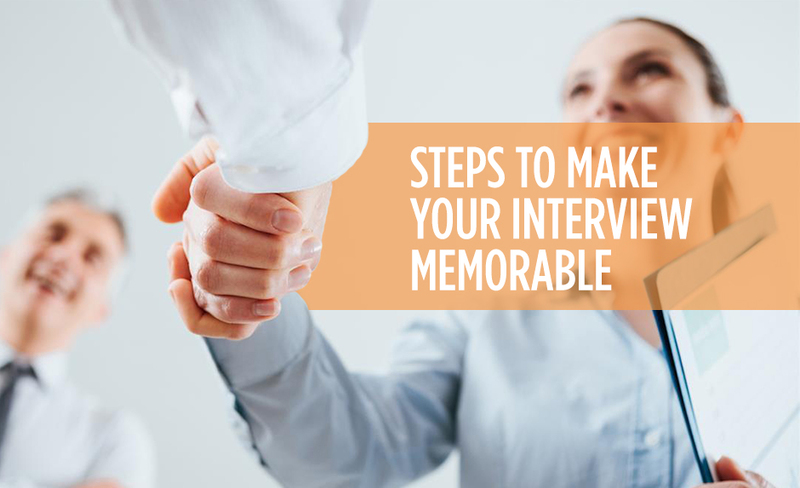 It will be up to you to follow recommended guidance for making your interview memorable. To find out more about how we can help you, give us a call today.